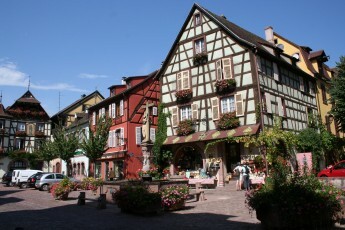 Just a week to go for our great Alsace Tasting! I have obtained some great wines specially for the occasion. There will be a special Pinot Blanc from an individual lieu-dit, Pinot Gris, Muscat, some extraordinary old vine Sylvaner, old vine Riesling and a wonderful Grand Cru Gewürztraminer. Among others, the wines come from the prestigious domaines of Weinbach, Trimbach, Zind Humbrecht and Schumberger. It’s very rare to get an opportunity to taste wines from such great producers! Guests of members welcome – a great opportunity to show your friends the YMS rooms in action.